Advanced International Translations (AIT) was founded in 1996 as a translation agency, but our huge workflow spurred us to think about automation and to develop software that can help in managing translation processes. This was how a new part of our business dedicated to software development for the translation industry began. 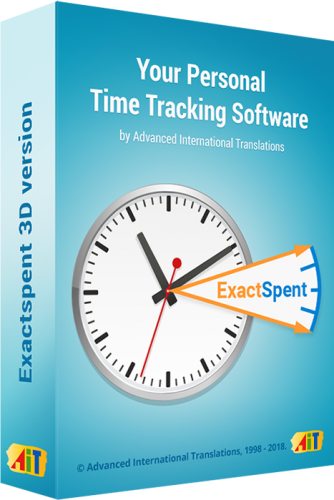 Since 1998, we have released 12 software products specially for translation professionals. We test all the ideas and suggestions for feature development within our translation agency, which also analyzes new trends and translators’ needs. This approach allows to produce reliable tools that translators want. We aim to make the translation process smoother, more efficient and more profitable, so you can focus on translation and leave everything else to the software. In 1999, we launched our first translation management tool for freelance translators—Translation Office 3000 (TO3000). This product ushered in a new approach to translation project management. It helps translators delegate administrative and accounting tasks to the software, allowing them to concentrate on translation and business development. TO3000 is continually being improved based on your feedback. We have implemented dozens of functions our users have suggested. In this way, we provide software that perfectly fits the needs of the translation community. TO3000 helps translators to get more clients and to increase their income, and some of them went on to start their own translation agencies. We took up this challenge and developed translation management software specifically for translation companies. In 2001, we released the first version of Projetex, comprehensive software that fully meets the multiple needs of a big translation business. The latest version of Projetex not only manages projects, but also allows jobs to be shared between in-house and freelance translators. It can be used to evaluate subcontractors, track deadlines, and manage prospects and applicants. It keeps all data in one place, and also has a features knowledgebase, a built-in mail sender, dynamic reports, and much more. To meet the increasing demand for an accurate word count, AIT developed AnyCount. The tool helps translators to evaluate the size of a job by counting characters, words, lines, or custom units. AnyCount can read 37 file formats, not only popular file formats such as Word or Excel but also challenging ones such as PDFs and JPGs. The latest version of AnyCount can read text from the web. For translators, project managers, proofreaders, and editors, tracking time is as important as counting words. With this in mind, we developed ExactSpent. This tool allows translation professionals who charge by the hour to set a fair price for work performed. It also helps them to manage their time more efficiently. 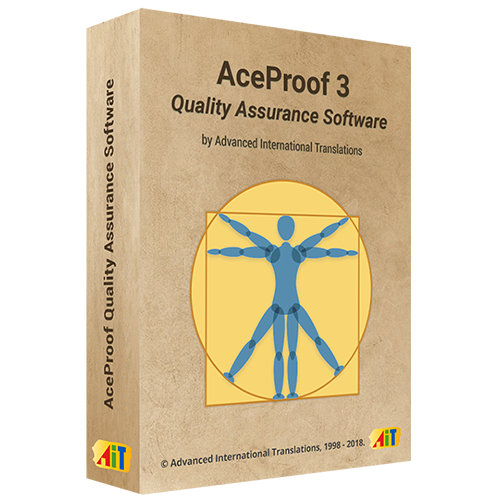 One of the latest developments from the AIT development team is AceProof, a simple and easy-to-use translation quality assurance tool. Try it now.